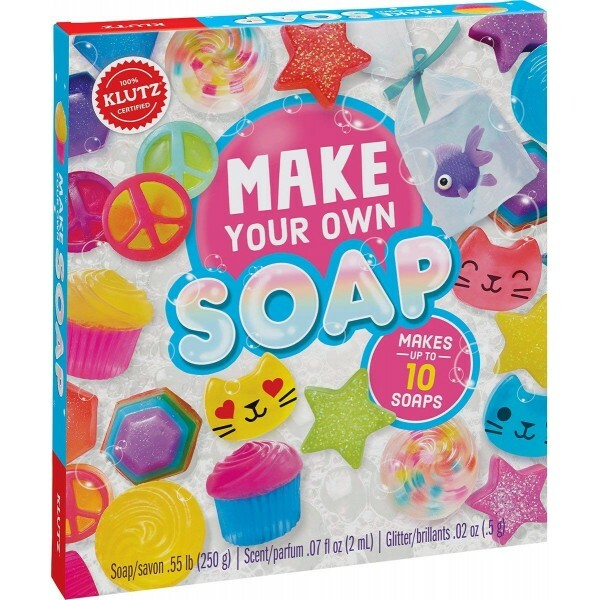 Create your own colorful soaps with this complete kit from Klutz! 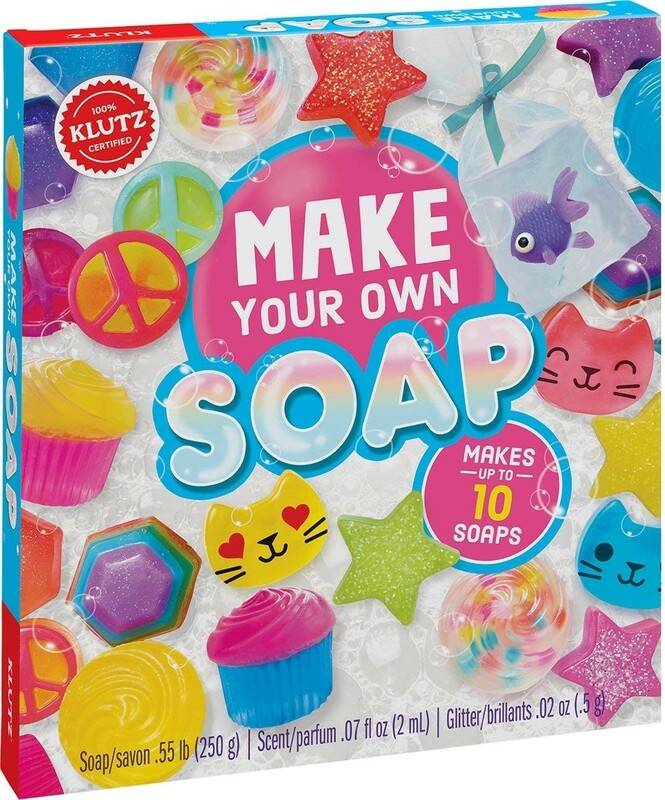 Everything you need for melting and molding soaps is included: twenty blocks of clear soap base, a soap mold with six shapes, a coconut-papaya scent, twenty color tablets, costmetic grade glitter, seven skin-safe soap stickers, and other accessories. 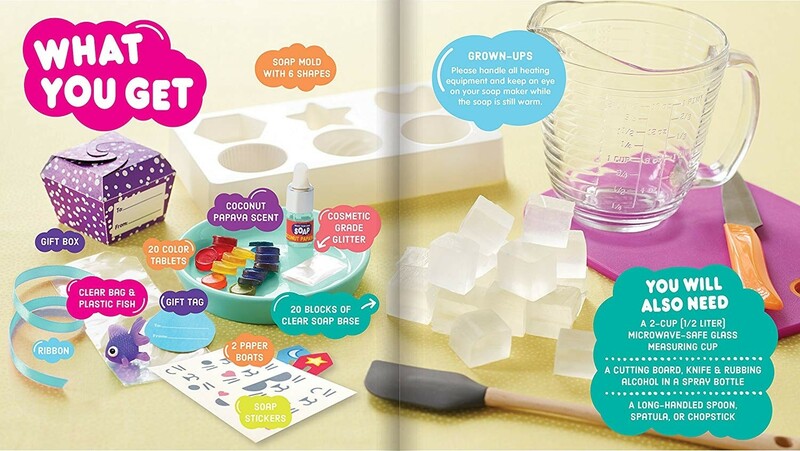 Plus, while you are waiting for soap to harden, you will enjoy the added soap-based science experiments! Who knew there was so much to soap? For more toys for crafty kids, visit our Arts and Crafts Collection.